NEW! Wood River Tour! Call for information and bookings! Fly Denali’s newest tour will let you experience Alaska the way only the bold Homesteaders do! The beautiful Wood River Lodge is nestled between scenic Mt. Anderson and the winding Wood River. It is located 30 miles east of the Denali National Park and is only accessible by bush plane, making it one of the most remote locations to visit in the Denali area. This lodge was initially established in 1898 making it more than a century old. At it’s heyday, the Wood River Lodge (formerly the Denali Wilderness Lodge) hosted many guests and offered a variety of different excursions. These excursions included guided nature hikes, a petting zoo, and even guided hunting trips. After being operational for more than 100 years, the lodge was closed in the early 2000s. It has recently been reopened and is now owned and operated by a real Alaskan family! This excursion provides one-hour of round trip scenic flight time over the gorgeous, untouched landscape east of Healy. You’ll fly over beautiful fauna and mountains where Dall sheep, moose, and caribou roam. We’ll even take you the long way around taking you over the pristine Yanert glacier located in the Alaska Range. We’ll touch down at Wood River’s airstrip where your guide will meet you to begin the land segment of your adventure. Your guide will offer a simple nature walk around the Wood River Lodge providing a history of the area and narrating their experiences of living off the grid in rural Alaska. 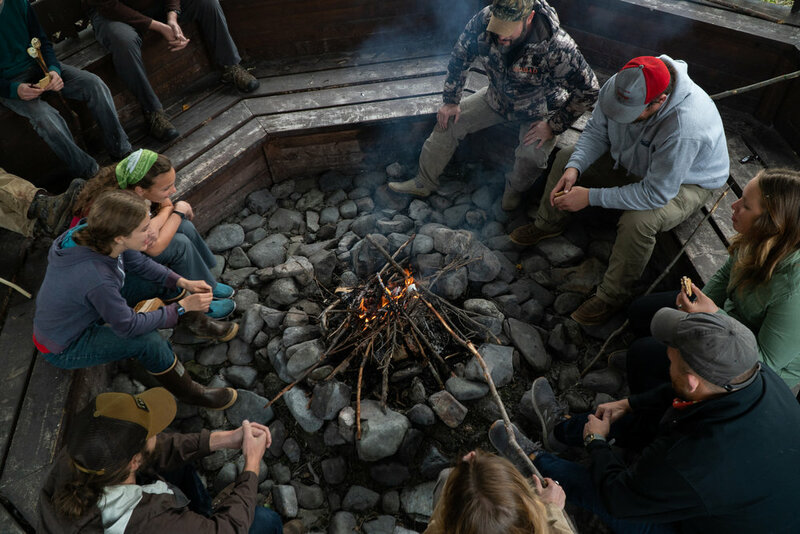 Once this part is concluded, join the crew and the rest of your group around a bonfire to roast marshmallows before concluding your excursion with a flight back to Healy! For times and reservations, call our office! 907-683-2359, or email us at info@flydenali.net! Contact with Homestead Excursion Inquiries!